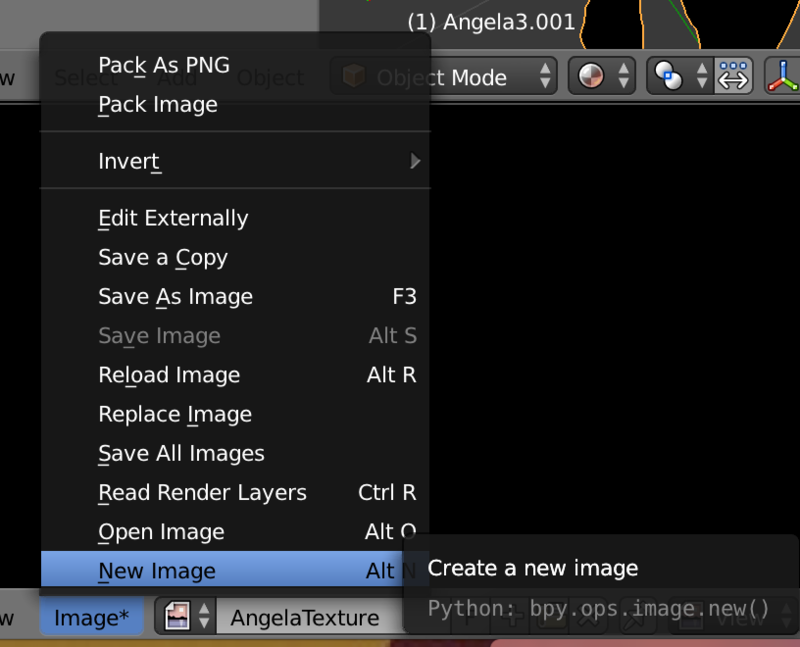 Merging meshes is simple, however merging object textures is a complicated recipe. Thanks to the help of Quest Kennelly, resident Blender wizard, I was able to learn and master this process. 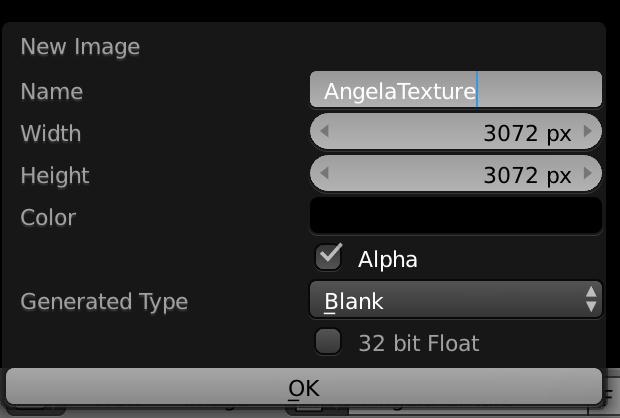 Be sure your meshes are merged. 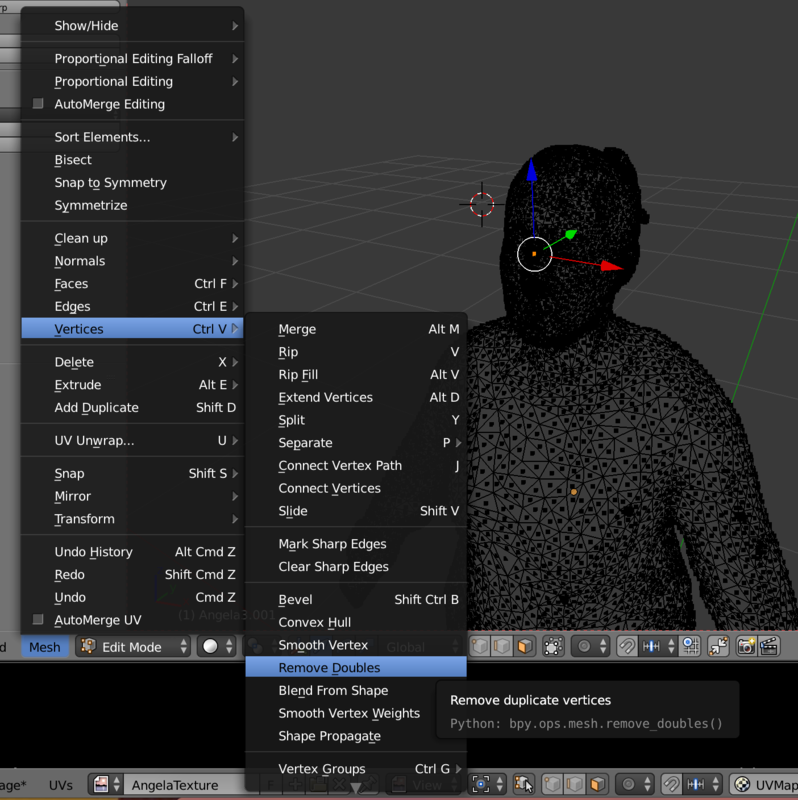 In Edit mode, go to the left menu to “Shading/UVs” and select “Mark Seam” which is marking the edges of the vertices as seams. 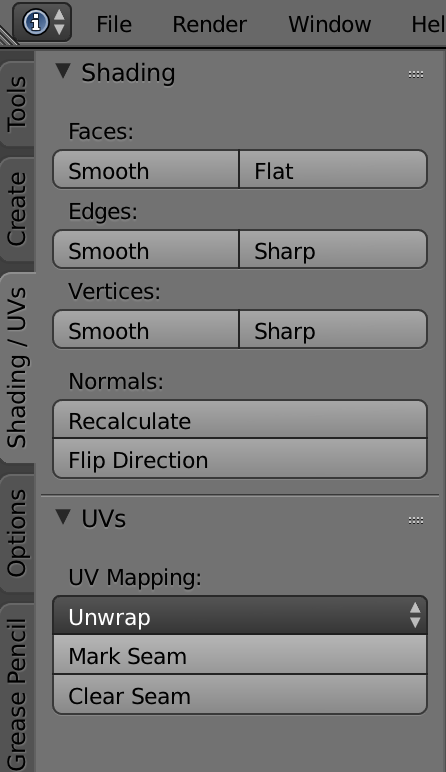 This creates the seams that will inform the new UV map in the next step. 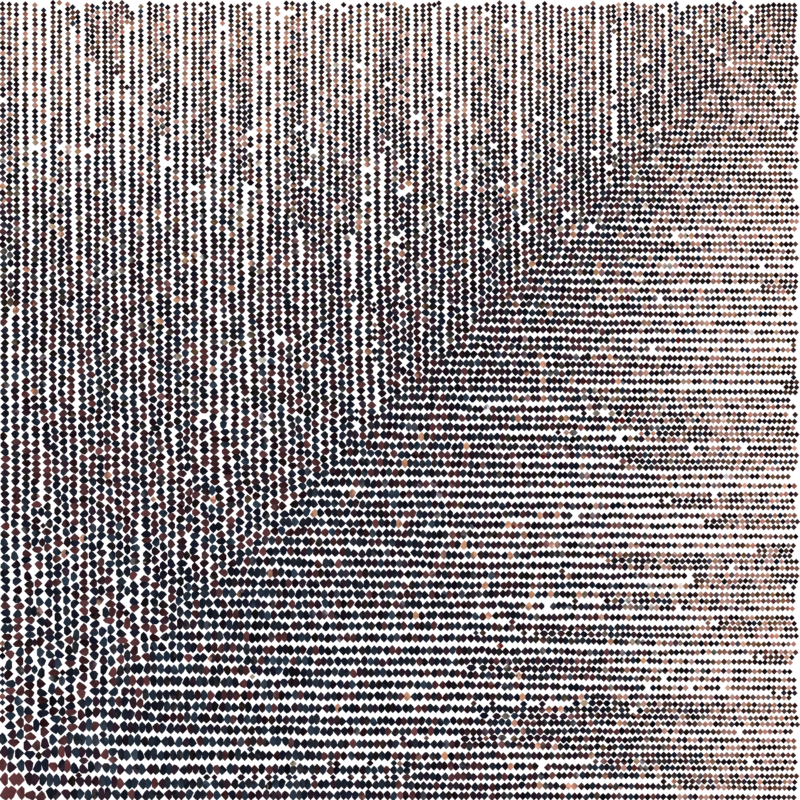 First, create a new, blank image. 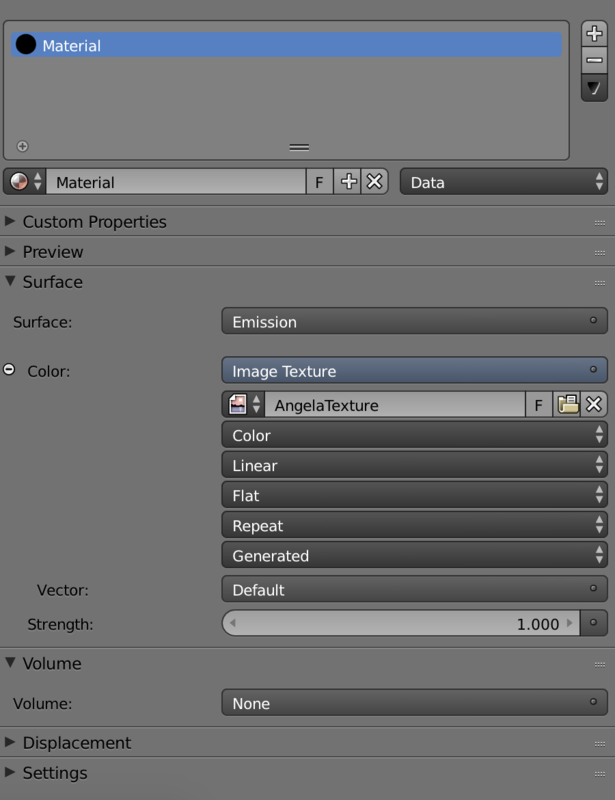 Select “emission” in the surface option, as that is how you want to receive the texture. 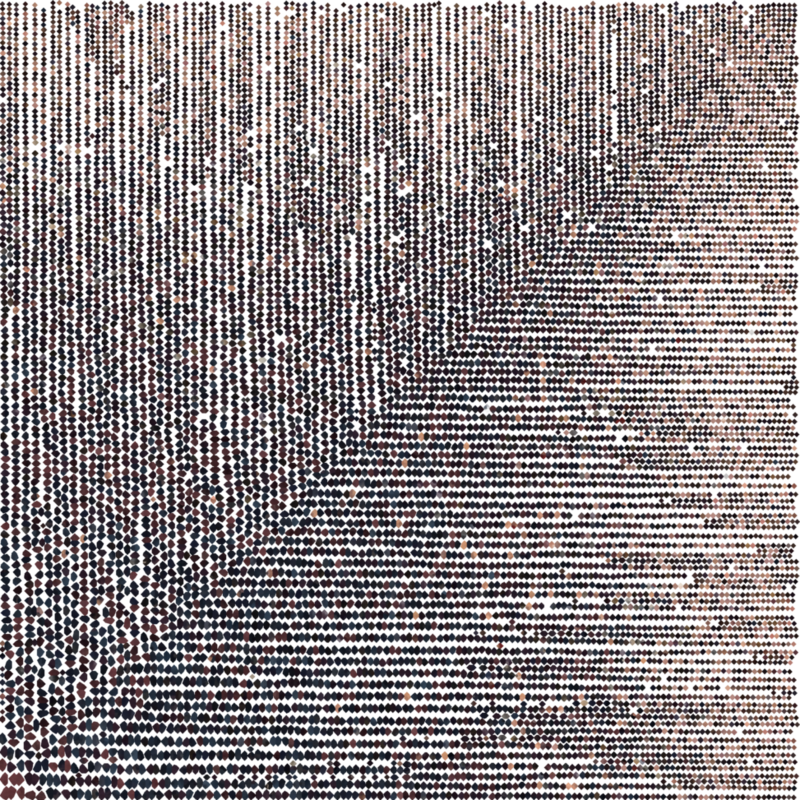 This will give you the texture as it is without the light having any effect. 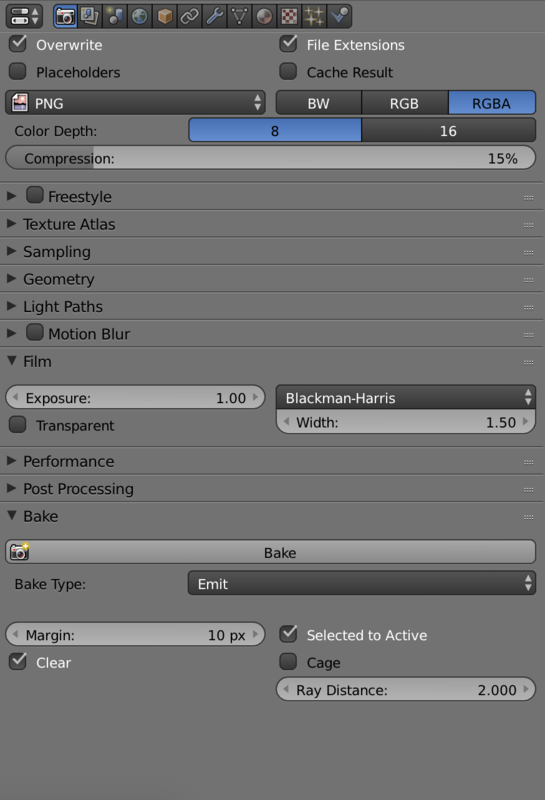 Before baking, select the settings of the bake. The textures baked nicely but not perfectly. 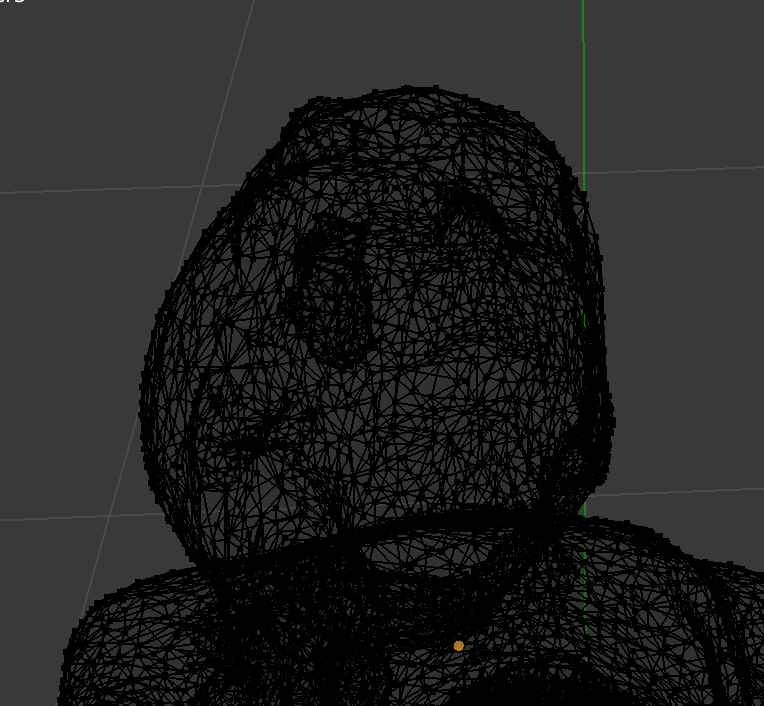 So once the texture was baked and matching the merged mesh, I went through the entire surface, filling in any missing missing holes. 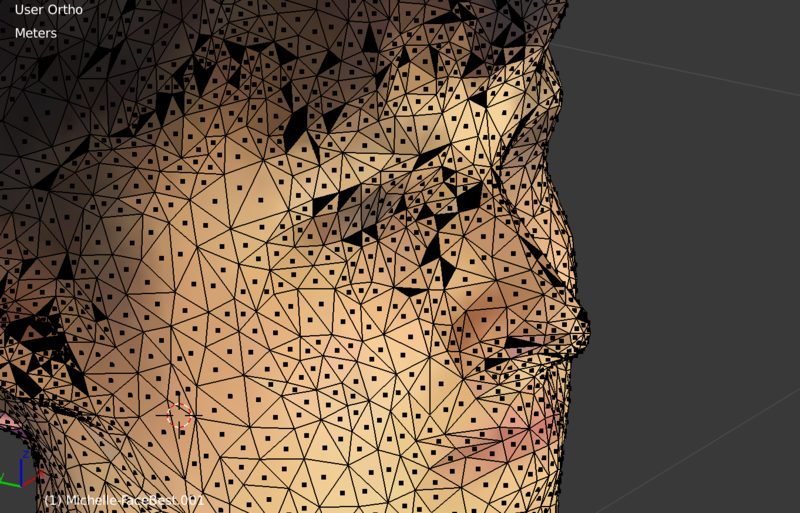 This was a bit tedious but worth it to make the meshes as true-to-life as possible. 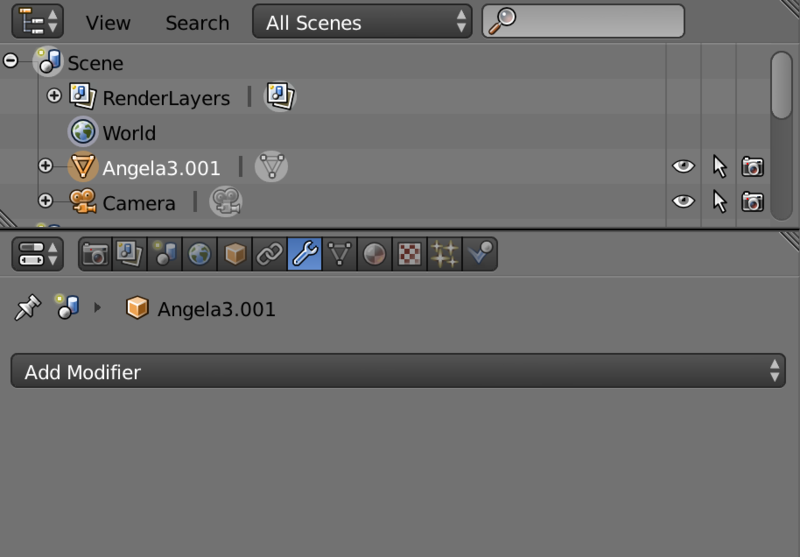 Viewing the UV map of the texture while also looking at the mesh in edit mode, I was able to highlight the empty or incorrect vertices in the edit window, and see their location highlighted in the UV map. 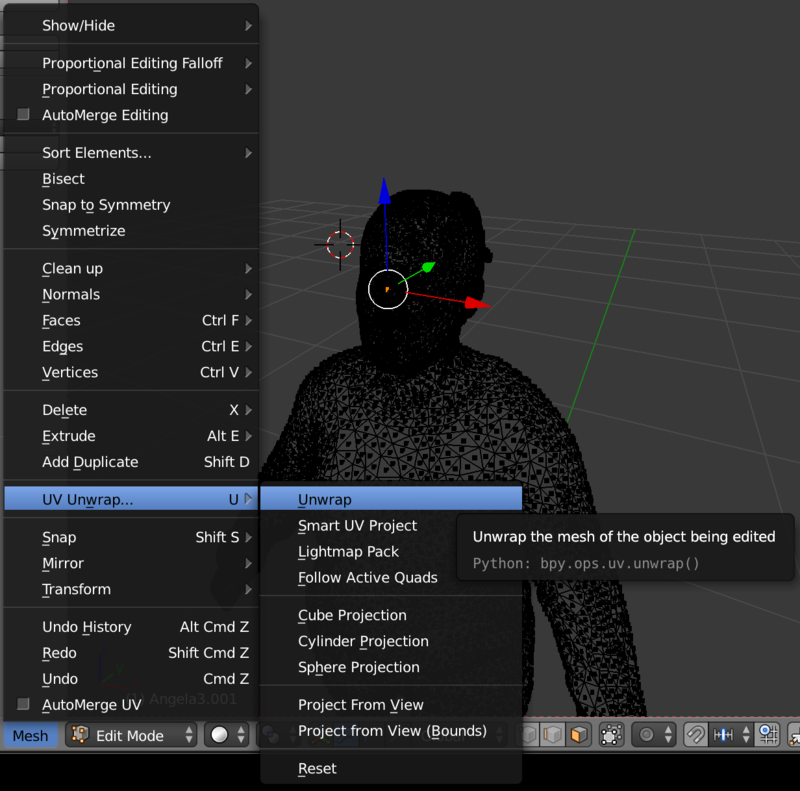 I then moved the highlighted vertices to the appropriate, corresponding color patches in the UV map.